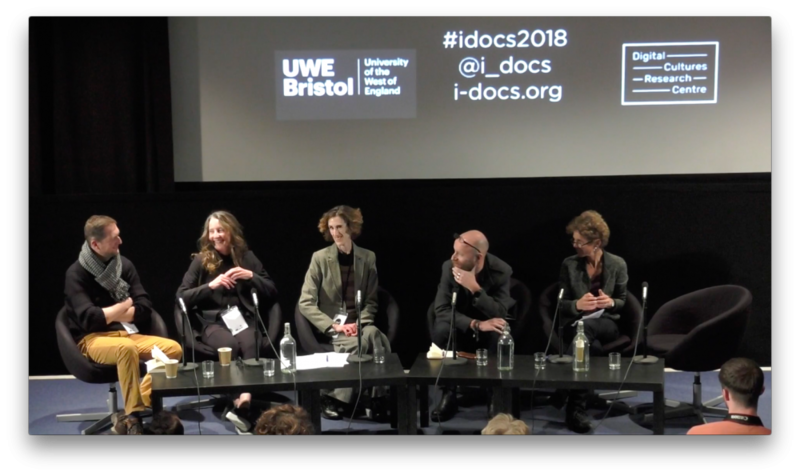 The panel ‘The Poetics and Politics of Polyphony’ occurred on day one of i-Docs 2018 in March; although in the words of presenter Judith Aston of UWE Bristol, it stands more as a collective conversation than a panel. Aston and co-presenter Stefano Odorico of Leeds Trinity University gave an opening presentation around dialogue, polyphony and intervention in i-docs, before opening to a series of short provocations from the following participants: Sharon Daniel of UC Santa Cruz, Paolo Favero of University of Antwerp, Amir Husak of Leeds Trinity University, Liz Miller of Concordia University and Anna Wiehl of University of Bayreuth. The presentations are followed by an audience Q&A.